Welcome to the Northern Dales Farmers' Market - named one of the Top 20 Farmers Markets in the UK by The Telegraph. We provide trading opportunities for more than 70 local producers and every one of them puts their heart and soul into producing top quality food and drink! We hold monthly markets thoughout the year at Hartlepool, Middlesbrough and Stokesley. 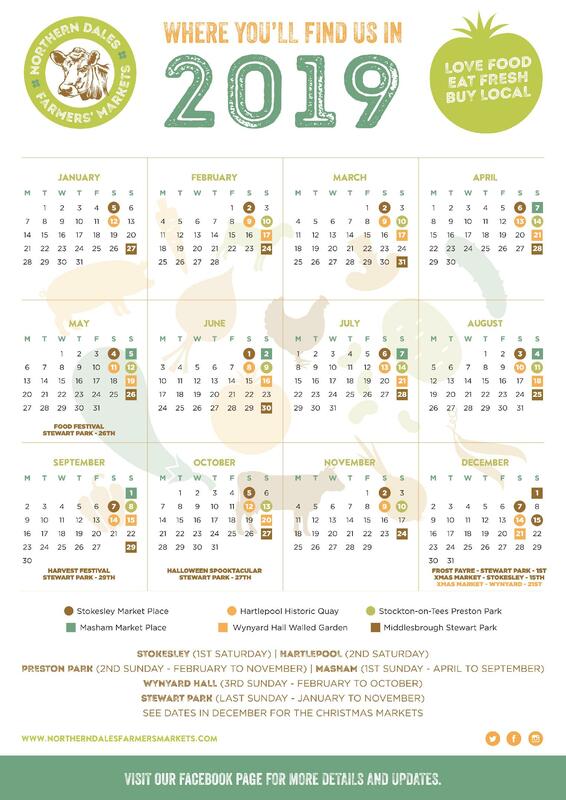 From early Spring through to late Autumn you'll also find us at Preston Park, Wynyard Hall and the beautiful North Yorkshire market town of Masham. For dates, times and updates about our markets go to the Events section of our Facebook Page. If you are a local food and drink producer and you are interested in trading at our markets? Click here.